This weekend while out running around in Joplin I kept myself entertained thanks to my twitter feed. Among the constant stream of updates was a series of posts from Alternative Chat, where she attempted to tell a story through twitter and succeeded beautifully. 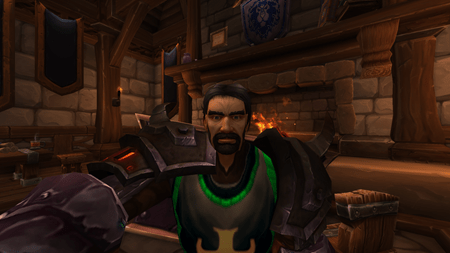 The only problem is that in the weeks since the release of 6.1 I have developed a knee jerk negative reaction to seeing a wow selfie posted in my twitter feed. It was a real struggle for me to look past the medium of the pictures to peer at the underlying story. Largely my problem with selfies is that they are this distorted caricature of what our avatars actually look like. The angles are all distorted, and it is impossible to control your facial expressions as they go through a series of seemingly random contortions. Like I had said before I thought that with time folks would get bored with them, and move on… but as the weeks continue it only seems to be more prevalent. Don’t misunderstand what I am saying, because I still love taking photos of my characters. I just prefer the picture above to the selfie I lead off the first paragraph with. There is just something much more visually appealing to being able to see more of your character than simply your face, torso and part of your arms. The biggest problem I have with selfies is the fact that it becomes hard to take in the entire picture. During Alt’s twitter story, it was as much about the places she was at rather than her character. I struggled to see enough of the elements in the background to immediately indentify where she was actually standing to take the picture. I realize that for the purpose of that story it was in an almost travelogue format, but the times when she broke from it and took a traditional screenshot were my favorite segments of the story. Not that I expect this to change anyone’s practices, but I am just saying now that I have a major preference towards traditional screenshots as compared to the distorted version that is a selfie. This weekend I did not manage to get nearly as much playtime in as I had hoped. Saturday we spent pretty much the entire day until about thirty minutes before podcast time running around. We ended up having to go visit my Mother-In-Law and made a day trip of it meandering our way there and to Joplin through a series of small towns. My wife and I both have this thing where we like to go hunting for interesting items on clearance, and I have managed to pick up quite a few awesome Lego sets for less than of their original price. This weekend however, I found a ton of sets… but nothing that I really could not live without. Ultimately my vice is Star Wars and Space/Futuristic themed sets. My most recent find was three of the sets from the “Agents” line at a local target for slightly less than half off the original price. Needless to say I did not really get much play time in Saturday. Sunday until 4pm I ended up helping my wife with a few things around the house, namely putting together a large cubical storage unit and a smaller bakers rack unit for our closet. 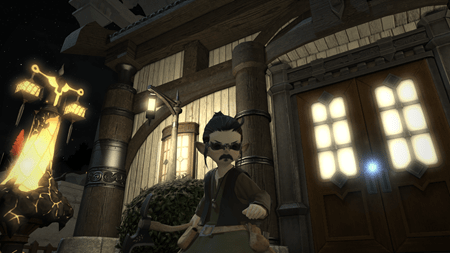 So by the time I finally got logged in downstairs and was able to play Final Fantasy XIV I felt under the gun to help make up some ground. At this point I am sitting at 254 poetics out of 450 for the week… and all I have is tonight to somehow manage to cap. I don’t have a feeling that I am going to make it, because we have a raid. However when I get home from work I am going to try my damnedest to get it through a combination of duty roulettes. I did however manage to run through the three Crystal Tower instances and get another Carbontwine allowing me to upgrade my Helm from 120 to 130. Similarly I managed to get enough Poetics to buy another piece of jewelry, so that I could use one of the Carboncoats I had laying around. This took me to 120 ilevel which for me at least is somewhat of a mental milestone. There is something about breaking another 10s barrier in my gear score. I am now sitting at just over 11,000 hit points, which is only going to serve to make my healers complain more strongly about my health pool when I am fully buffed. It makes me feel useful though the more gear that I can manage to pile on. One of my hopes this weekend was to spend a good deal of time on the sofa watching television and working on my Botany. This never actually happened, for various reasons. I spent a bit of time yesterday morning watching a movie and importing by hand 48 episodes of Aggrochat into the new Aggrochat.com website. I did however manage to work on botany some during the recording of this weeks AggroChat, and at this point I am level 16. The brute force leveling is finally starting to slow down, but I keep telling myself that every level that I can gain in this fashion is going to let my level allowance build back up so I can push through the levels more quickly later. When I pushed mining I managed to drop down to 30 leves left, and over the last few days it has managed to regenerate back up to 65, so when it caps I will begin pushing Botany a bit harder. I had honestly wondered about stopping Botany for a bit to get fishing up to 15 as well. That way I can start getting rid of all of this gathering gear that I have clogging my banks. Since I only have Fishing and Botany left, my hope is that I can maybe stair step them both up together pushing it up 5 levels at a time so I can shed a bunch of gathering gear in the process. That really seems to be the ideal way to level classes in general. I have four retainers and they are all full of gear that I think I will use at some point. I turned in a bunch of the Syrcus Tower dragoon gear last night for company seals, and I need to really spend an afternoon identifying the stuff that I want to keep and sorting it out from the stuff I don’t want to keep. All of the Scylla’s healing gear for example is prime territory for giving away… considering I am slowly replacing it with soldiery items to help burn down my tomestones. Honestly as soon as I have Soldiery equivalents all of the gear from Syrcus Tower is suspect because I consider every single set “ugly”. BTW, 2.55 drops on March 31st. “For anything besides coil or a challenging Primal, you should be using full STR accessories on any tank in any situation, to be honest. That advice depends on what you’re tanking. Personally for things that hit as hard as Coil bosses sometimes do (or Odin). I want to put as much HP between full and dead as possible when I’m going to get hit with something like Sangetall. For dungeons, mixing in some strength gear is something I find helpful. It helps to hold aggro against AOE-happy DPS (read: Black Mages and Summoners). Everything I’ve read on the forums for tanking indicates that once you have more than 10K HP, that you should start swapping out your jewelry for STR-focused ones instead of VIT-focused. Considering I just barely unlocked Paladin last night and am 26 MRD as of yet, it’s a long way off and thus merely theoretical for me, so what do I know? FWIW, I’ve gotten 125 poetics this week, and I think that’s my biggest week ever. 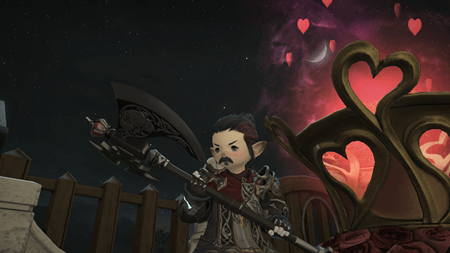 I’ve just not really focused on poetics much, though I probably should in prep for the expansion. 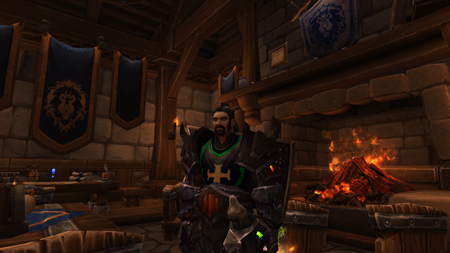 The #Aggronaut is tired of #wowselfies Warrior Milestone http://t.co/jIPFzN8lbo Plus, @belghast migrates podcasts to http://t.co/b9Z6LqVmXz. Honestly, you should take fishing at a much more leisurely pace and focus on crafting once you finish botany. You don’t quite need fishing as much – it’s meant to be more for fun really.